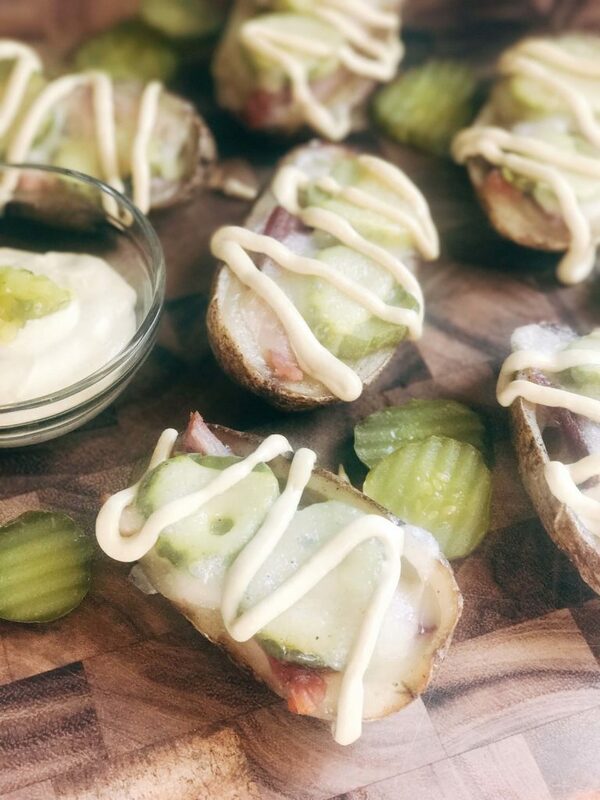 These Cubano Potato Skins are inspired by a Cubano sandwich and are a great party appetizer or snack! 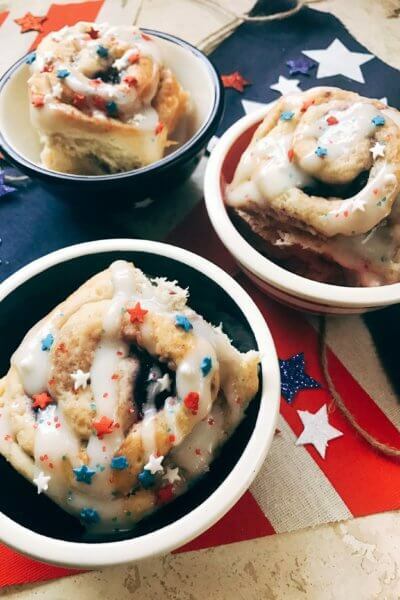 Whip some up for game day or a Super Bowl party for something unique, simple, and delicious! 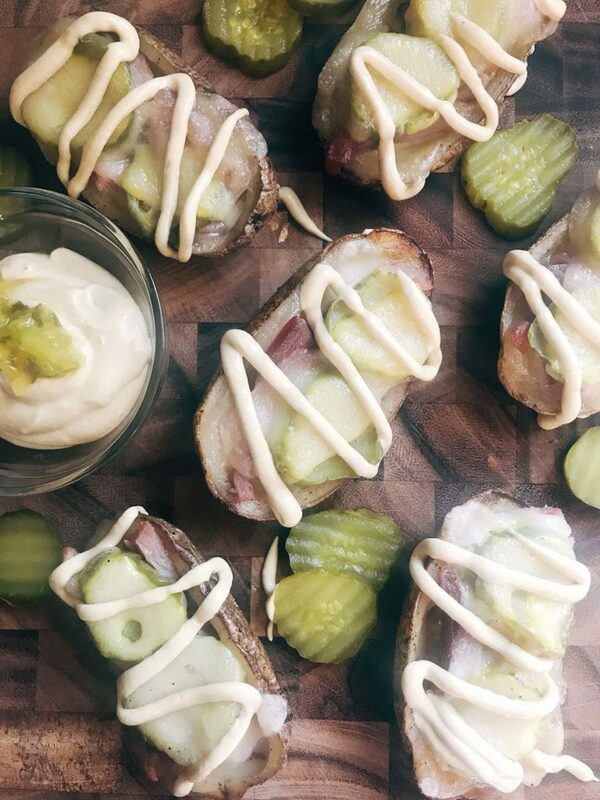 I was inspired to make these gluten free Cubano Potato Skins because of the movie Chef. That movie makes me HUNGRY every time I watch it, the food all looks so good! If you have not seen it yet, you need to, but be preared to get hungry and have some food nearby! And every time they get to that Cubano scene, my husband wants one. 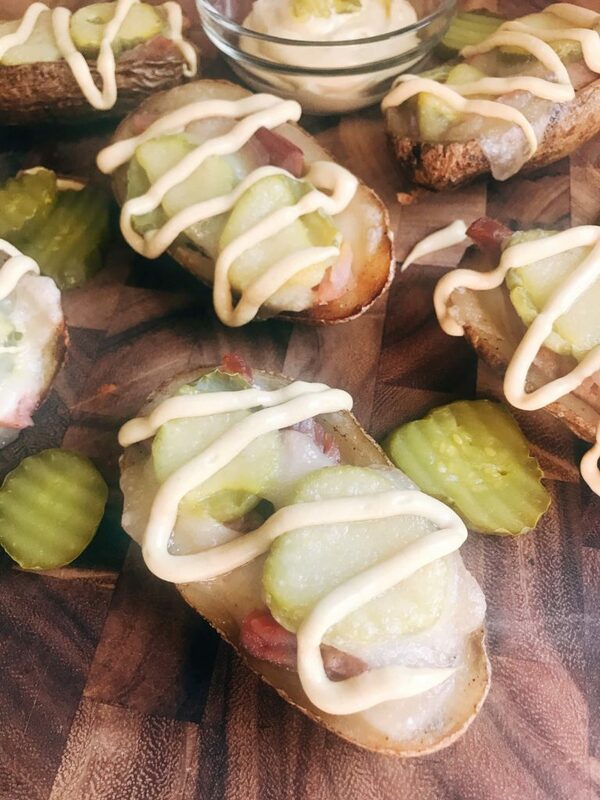 So I decided to use those same flavors, taking advantage of leftover ham from the holiday, and turn it into a potato skin! A Cubano sandwich is typically a ham, pork, Swiss, pickle, and mustard sandwich. 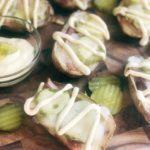 In this Cubano Potato Skins recipe, I stick with just the ham as it is a great way to use up leftovers from Easter, Christmas, or any other holiday that you may cook a ham for. 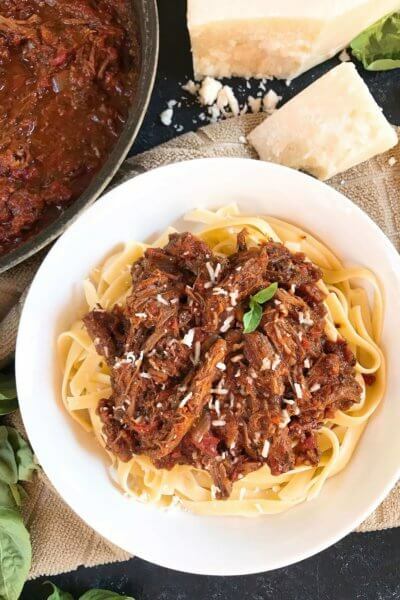 You can also use just pork, or a combination of pork and ham, depending on what you have available to you. No leftovers? Use some deli meats instead! Cook the potato skin shells if they are not done already (link to recipe in notes). 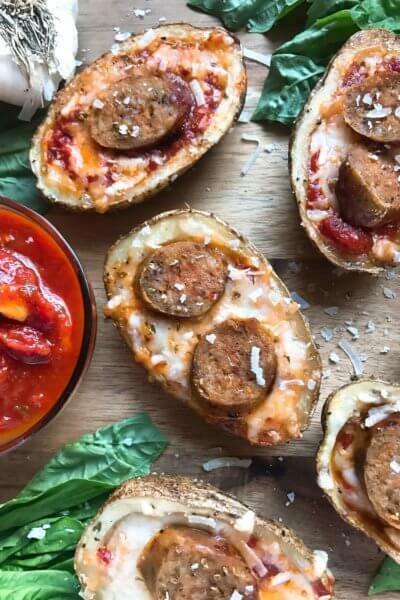 I like to make the potato skin shells in advance for ease. 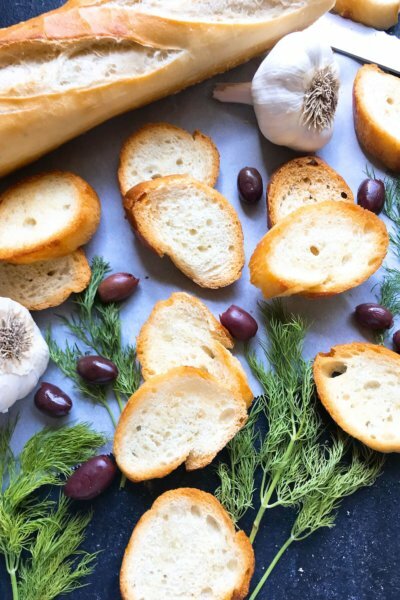 Place the potato skins on a baking sheet lined with a silicone mat or tin foil. Cut the slices of cheese in half. Place one cheese half in the bottom of each potato skin shell. If the cheese is too large and not falling into the bottom, try cutting it into pieces first. Place your ham into each potato skin shell on top of the cheese. 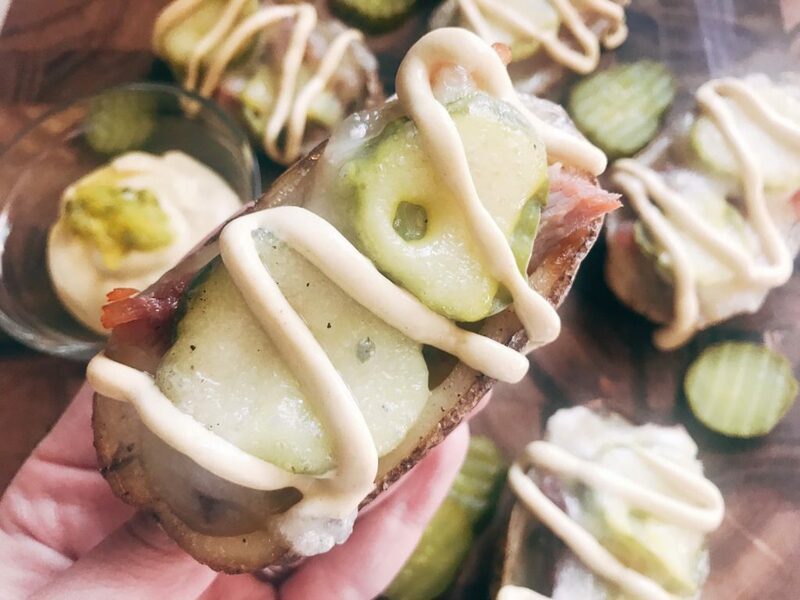 Lay two pickles on top of the ham on each potato skin, and then top with the other half of a cheese slice. 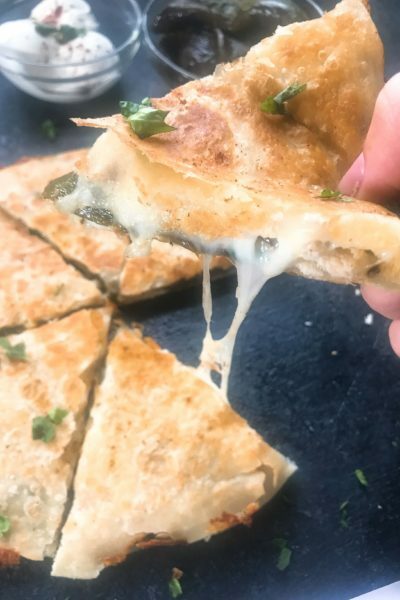 Bake at 350F until the cheese is melted, approximately 10-14 minutes. While the potatoes are baking, make the mustard sauce by mixing the mayonnaise and mustard together. Adjust the ratio with more or less of each to your preference. For a spicy sauce, add some hot sauce or ground cayenne pepper. Remove the potato skins from the oven when the cheese is melted. Serve immediately with the mustard sauce. Leftover ham is perfect for this recipe. You can also cook ham specifically for these potato skins if desired, or use deli meat. A traditional Cubano also uses pork in addition to the ham, so using a mixture of pork and ham or all pork will work as well. What a great way to use leftover ham! These sound like a meal in themselves.